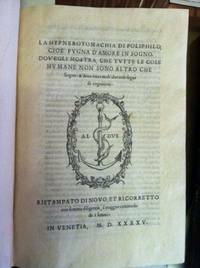 Especially for older books, a printer's device refers to an identifying mark, also sometimes called a printer's mark, on the title page or the colophon. A device can be quite ornate, and stylized. Printing houses relied on this mark as their brand, far more than bindings or book covers, since in previous centuries books could be rebound several times over its life. The use of printer's marks goes back to the fifteenth century, and collectors of antique books seek out these unique trademarks. Bibliographic studies as recently as the nineteenth century often included directories of printer's marks and devices, and today booksellers and collectors rely on printer's devices to help classify and authenticate books.